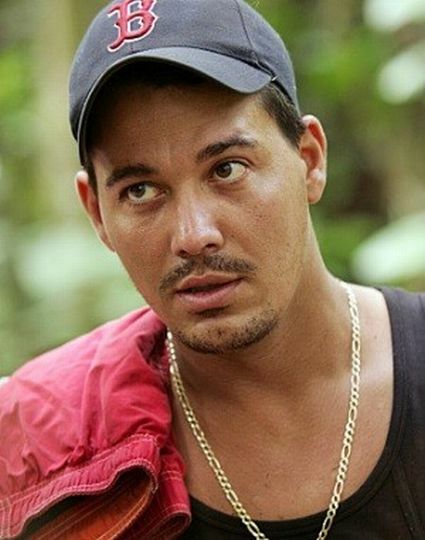 Survivor hoped for a showdown between two previous all-star rivals bringing back Rob Mariano and Russell Hantz in the 22nd season of Survivor, Redemption Island. Circumstances legibly wrote it even from the start, expectations of that happening was not very high. True enough, Russell was targetted indefensibly and was voted out very early. Although, something else piqued my interest as Rob Mariano continued further in the game. Russell Hantz is a kind of a shoot-from-the-hip saboteur. A snake, a sneaky little troll, manipulative? I kneel down beg to differ.”It’s either you’re with me or against me”, they mocked him for it. He’d tell his adversaries this, even warns them at times. He confronts his enemies of his connection or detachment to them. There are no secrets. He’s a schemer, an engineer to many sinister plans, a strategist in a sly, cunning, jagular ways, and he is brilliant and darn artful in it. On the other side of a Joker coin is Boston Rob. He makes the shelter, provides necessities, wins immunities for the tribe, tucks them in their sleep, and eventually slits their throats. Unlike Russell who lacks social skills, Rob is a keeper to a team. He does things with his great dexeterities that make a tribe wanna keep him. He lures people in. He gets a group of individuals to trust him, takes full charge and control, and then picks whoever he wishes to betraying people who were expecting it’s them he’d take to the end. He’s a user, a manipulator, a stipulator, and he is impressively capable of a lot of things, including talking his way out of a bad situation. Russell Hantz appearance is of matching horns, tail and a pitchfork on a blinding red color. He wears his villain badge on his sleeves, and everyone knows that. He has no qualms telling people negative un-nice things. He is evil to the core. Rob Mariano, however, is like a salesman who dresses neatly with a suit, squared-away tie and a shiny pair of shoes. He charms talk giving encouraging offers. Unbeknowst, behind the glossy white teeth are promises of sweet nothings that after the dealings you make with him, the briefcase he comes with are filled with empty agreements. So, say you have to have to stay under one roof with either of these villains, who would rather live with? 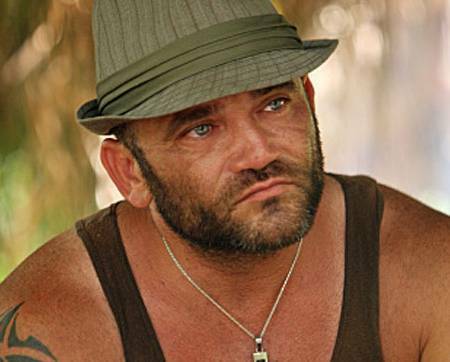 Russell Hantz, who would make your life miserable sabotaging your belongings, treat you like trash, go off argue with you and bother you even by the thought of his presence alone. Or Rob Mariano, who would befriend you, make you feel so comfortable at home, do nice things for you and when he is done benefitting from you, you’d find yourself a pawn, a fool so used and so betrayed to his backstabbing Machiavellian plans. 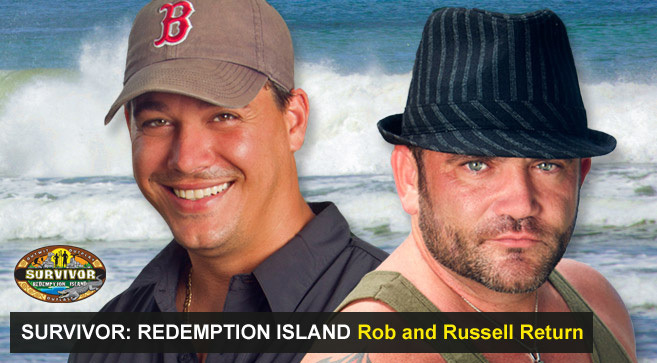 The awaited “Rob vs. Russell” never happened, but a question brewed from this season – Who is the greater of the two evils?